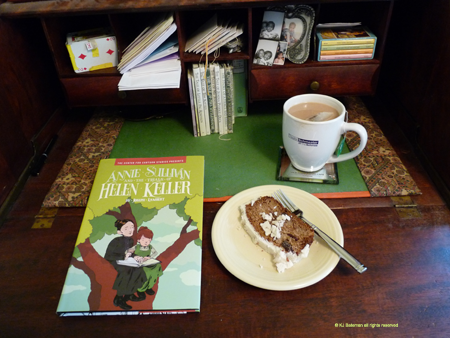 Tea and Savories: The Year in Books-March's Review-Annie Sullivan and the Trials of Helen Keller by Joseph Lambert. 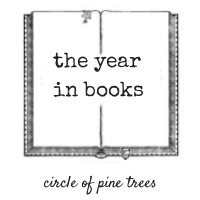 The Year in Books-March's Review-Annie Sullivan and the Trials of Helen Keller by Joseph Lambert. I love non-fiction picture books. I especially love non-fiction graphic novels. They are a great introduction to topics and often are enough to satisfy my curiosity. I think I read and maybe wrote a book report on a biography of Helen Keller sometime in grade school. And I probably saw The Miracle Worker. The only thing that stuck with me was the scene at the water pump. Well people, there is so much more to the story but what I found more interesting was Annie Sullivan's story. She had a grim childhood and was partially blind herself until she had surgery. I may have to read an actual grown-ups biography on both of them. Here we are at the end of May with March's review. Please note, however, that I have read over 50 books so far this year. Apparently, I'd rather read 'em than review 'em.